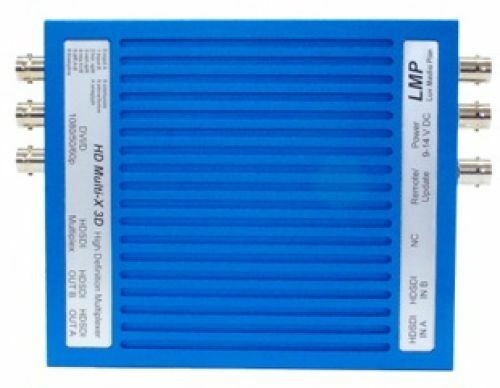 The HD Multi-X 3D is a universal 3D video processor used for stereoscopic 3D production and broadcast applications. It enables live 3D monitoring as well as recording of any 3D signal via a single DVI- and/or HDSDI signal in various configurations. In reverse mode, recorded stereoscopic formats are processed for monitoring to DVI and dual HDSDI streams. The most common 3D formats are supported, even anaglyph and sequential frame at 3Gbit/s. For mirror riggs, horizontal- and vertical flip are provided.